Students investigate the daily lives of ancient Romans in a variety of fields and contexts, including family life and the social class system. Then, they turn to the economy of ancient Rome, encountering its diversity of economic roles and the wide diffusion of Roman culture. Finally, they write a fictional dialogue imagining themselves as Roman youngsters talking to their older siblings. In this experience, students investigate the daily lives of ancient Romans in a variety of fields and contexts, including family life and the social class system. Then, they turn to the economy of ancient Rome, encountering its diversity of economic roles and the wide diffusion of Roman culture. Finally, they write a fictional dialogue imagining themselves as Roman youngsters talking to their older siblings. Describe daily life in the Roman Empire. 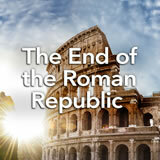 Describe the economic development throughout the Roman Republic. 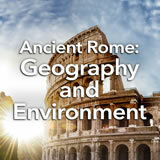 Explain the spread of Roman culture throughout the region. 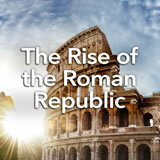 In this experience, you’ll learn how the people of ancient Rome lived their daily lives. It’s morning, and you’re a teenage boy in a big city. You go to school. Then, in the afternoon, you walk home to your family’s apartment in a multi-story building. Your mother is shopping at the grocery store; your father it is at the barbershop getting a haircut. Later, your father will take you to the huge stadium a couple of miles away to see a sports event. Are you in Miami? In New York, Chicago, Los Angeles, or Washington, D.C.? No, you’re in Rome and it’s the year 75 B.C.E.! Write one or more predictions about what you think life was like in ancient Rome. As you move through this experience, check whether your predictions were accurate. Allow students to confirm or update their predictions as the experience progresses. You might want to refer to some of the predictions as discussion points when relevant.